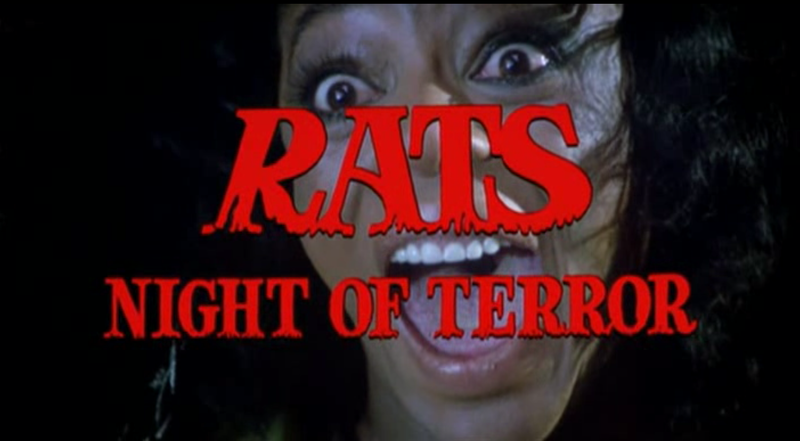 Fire up your post-apocalyptic motorbikes, because Rats: Night of Terror is the Greatest Movie EVER!. Click on the Italian movie poster or the title above to download our review of the featuring Oli “InvidNinja92” Bulmer. Review in a Nutshell: A low-budget post-apocalyptic Italian exploitation film that borrows liberally from such source material as Night of the Living Dead and H.G. Wells’ The Time Machine, Rats: Night of Terror is worth viewing for some surprisingly well composed scenes and an ending that is baffling in ways that only a Claudio Fragasso script can achieve. Squeak, squeak. Do not use Google Image Search to look up this movie. The top results are massive spoilers. YES!!! I love this movie and I love Bruno Mattei’s movies in general. Theres just something about italian movies from the 70s and 80s which mesmerizes me. When people ask why i watch crappy movies all I can say is “I don’t watch crap, I watch trash.” and Italy during this period was the country with the ultimate trash. Oh, joy – an Italian horror movie about rats. I’m scheduling my nightmare now…..
Kind of off-topic, Paul – but I just wanted to let you know we watched a Bollywood Zombie Horror-Comedy, Goa Goa Gone, last night, and it was great! Funny, cartoonish violence, very action-packed – I think I may like it better than I liked Shaun of the Dead…..